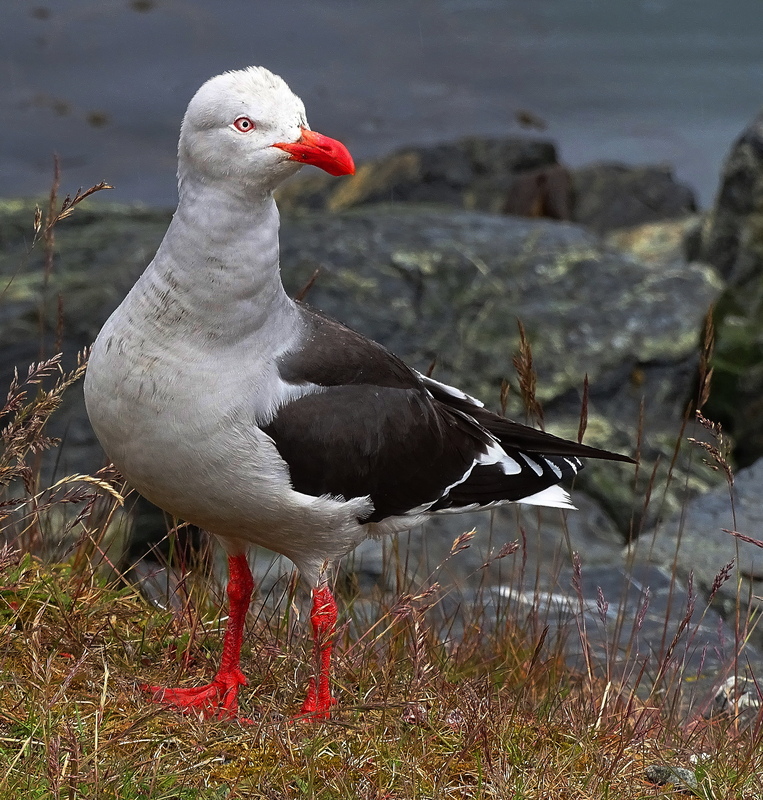 Dolphin Gulls are sub-antarctic birds, living in the coastal regions of the southern ocean, and like most gulls can usually be found around boats and people, searching for hand-outs. They are native to southern Patagonia, specifically Chile, Argentina and The Falkland Islands. Vagrants will visit the Sandwich and South Georgia Islands. They are quite beautiful snow-white birds and are smaller than most gull species, with much shorter, less lethal beaks. before turning his head almost completely upside down to guzzle more down! 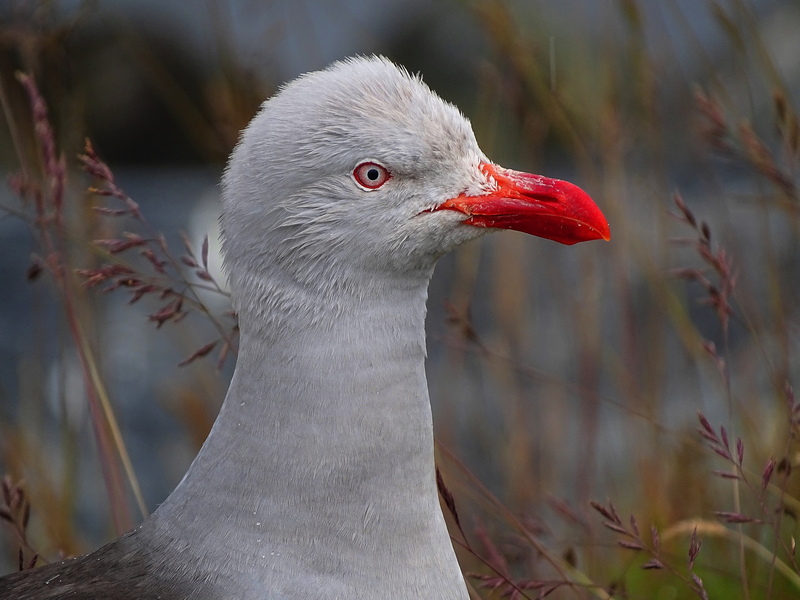 Outstand photos of Dolphin Gulls by Cindy Knoke. Lovely shots, Cindy. I’ve never heard of that kind of gull. They’re stylin’ with that pop of color too. 😀 Makes me want a pair of red boots. Hugs on the wing! I love their red beak and feet. Cheers to you and the dolphin gulls Cindy! Thank you kindly & cheers to you! Such a strikingly beautiful bird Cindy. I love all the “poses”! You saved the best till last again! Thank you! I do try to save the best for last in gratitude for the people, like you, who take the time to look at all the photos! 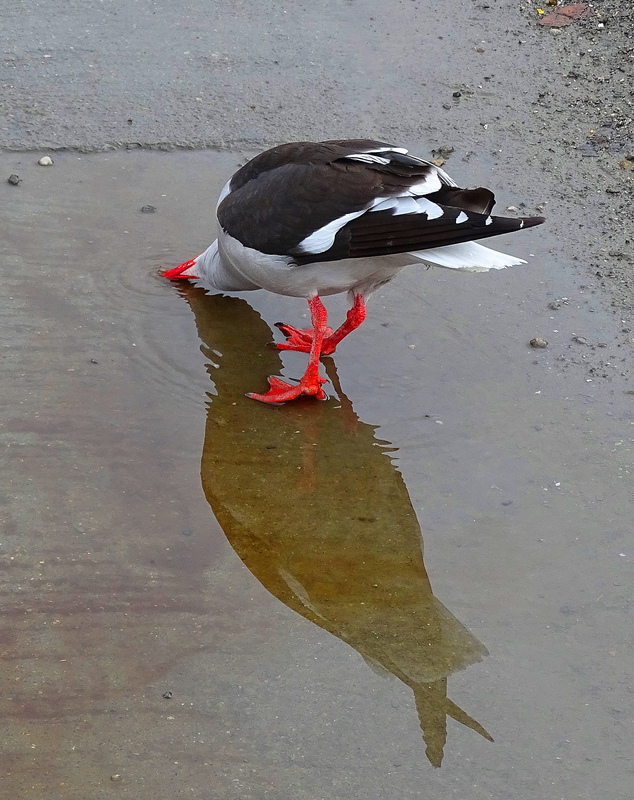 Aww…this happy gull looked so tweet with matching red beakstick and feet! What a pleasant treat to see the dolphin gull, Cindy. They are so distinctive and beautiful, with a shade of red/orange that we don’t see a lot in nature. Thank you, and cheers to you in the southern latitudes. I love all those red highlights, Cindy. Beautiful photos, thank you for sharing. Thank you so much more for taking the time to look, and say this & cheers to you! You are a nice friend. Thank you. Danke, lieber Klaus, und dir, mein Freund! Your photos are so sharp and vibrant Cindy! Thank you for sharing the beauty you experience through your lens. Have a wonderful day! These are beautiful photos! I love how bright their beaks and feet are. They’re stunning birds. Thank you! They are quite handsome aren’t they and quite well behaved for gulls! Such a vibrant red. Great photos, Cindy. Muchas gracias Jane and I am happy you enjoyed them! Never heard of these – thanks for the colourful introduction, Cindy! You are most welcome and cheers to you! Ahhh, so kind & so appreciated! Isn’t that the most remarkable shade of red? On a bird, too! thanks for sharing. Great photos. I think I like the second one best, but they’re all lovely. Isn’t it strange how different species a world apart can be so similar, but with amusing differences. 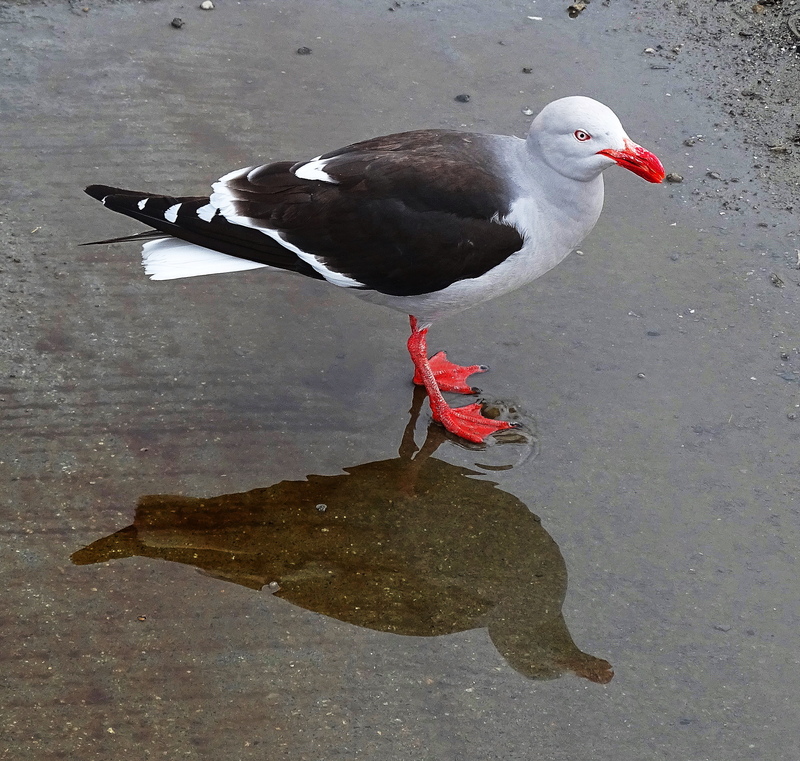 I’m so used to seeing our Herring gulls with their bright yellow beaks and feet – your chap with the red looks like he’s borrowed someone’s lipstick! Wonderful photos of beautiful birds. So kind of you & so appreciated too! Yes this bird belongs on the cover of Vogue! Lovely shot of a gull, excellent photo. Thank you & very kind of you! Beautiful shots! I love the bright red feet. But you know what? 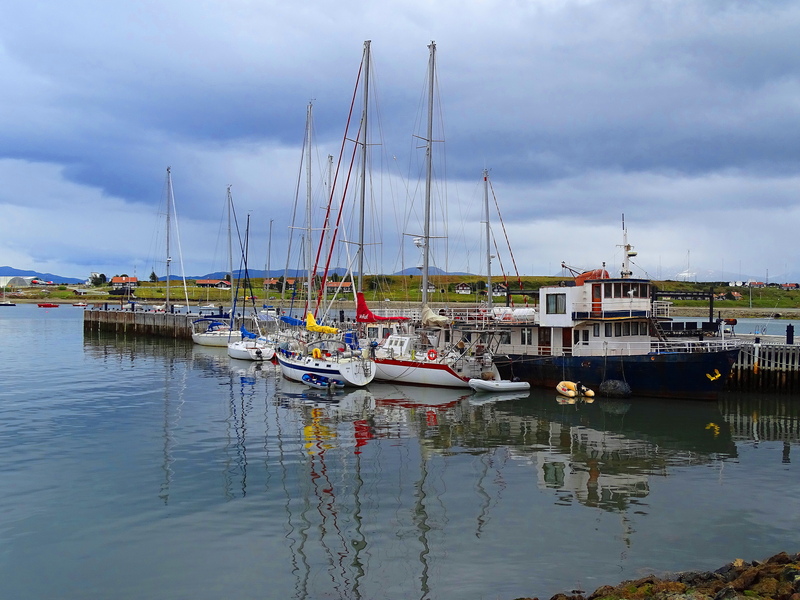 I like the boats, too. That’s good composition. Beautiful shots! It’s wonderful how similar, and yet different, the birds are in different corners of the world. He sort of looks like he had an encounter with some nail varnish! What beautiful birds and captures, Cindy! It looks like you had a marvelous trip. Gulls have always been one of my favourite birds for some reason. They are noisy, nosey and nosh on anything they can get their little beaks on! But this all gives them their personality. I love heading down to the water and watching them in their glory. We even have some that battle the crows in our park across the street for any crumb they can find. I love the orange beak against the white and dark of these beauties. Thanks again for sharing your gorgeous photos! I grew up with them and love them too. So many people hate them. I think some people get jealous of highly intelligent and successful wild animals. I have two short gull stories for you, both have witnesses if you don’t believe them! When my son was three we went to the beach for an Easter picnic. He was given a wind up furry, easter duckling. A seagull flew down and snatched it from the sand and flew away. 2nd story. A fancy hotel where I grew has outdoor tables near the beach. Seagulls routinely swoop down and steal silver napkin rings from the tables. They have lost scores of them and hire a falconist to regularly visit to scare the gulls away. This hotel has a bell tower which no one goes to. It was recently renovated. During the repairs, workmen entered the belltower and found decades worth of silver napkin rings in a pile. I have more stories about gulls. They seek revenge on mean humans, and are nice to nice ones.These are very smart animals. I have one for you as well. You know the old adage about having a seagull poop on you is good luck? Well, I had one drop a dead fish on my head – honest! And he politely waited until I gained my composure before it swiftly came in and picked it up again. I could have sworn I saw “sorry” in those eyes! lol! Beautifully captured!! How do you manage to do it!! The legs of gull are so beautiful!! Thanks for sharing! 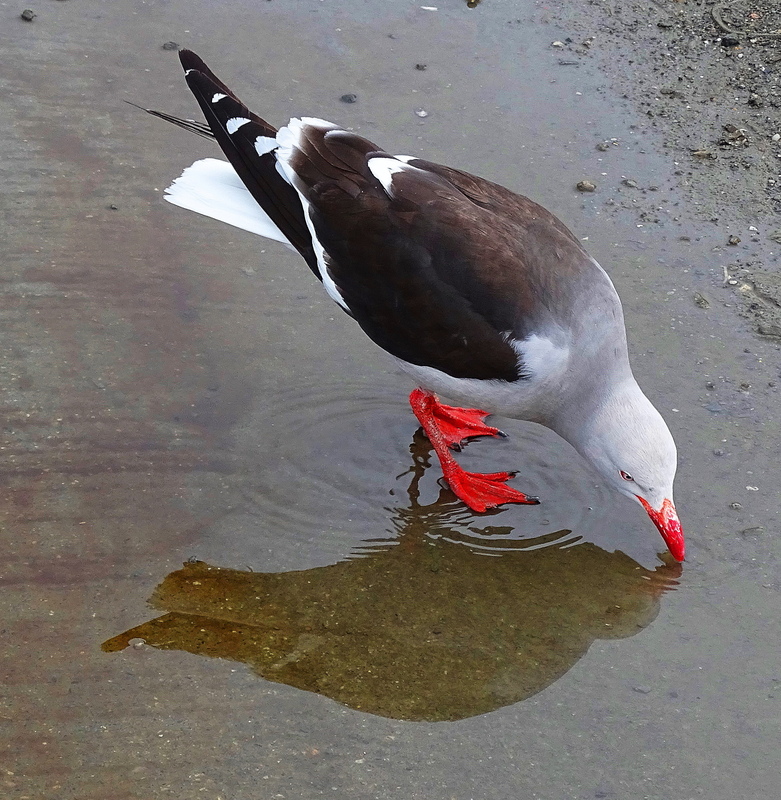 I liked how you did the observation of bird drinking water with its head turned upside down!! I’ve never heard of dolphin gulls. Gulls are interesting and fun to watch, no matter what kind. Awww, thank you and there are indeed perfectly beautiful creatures! I will and lovely to meet you! Cindy, your photos are incredible. Your love of nature oozes through your pictures and comments. It takes a fellow nature lover to see and feel this, so thank you too! Is there an email address on your blog? I’d love to comment at length on your thoughts about the airport experience! Thank you for sharing the story. I will email you so my address won’t be public. I am interested in your thoughts.